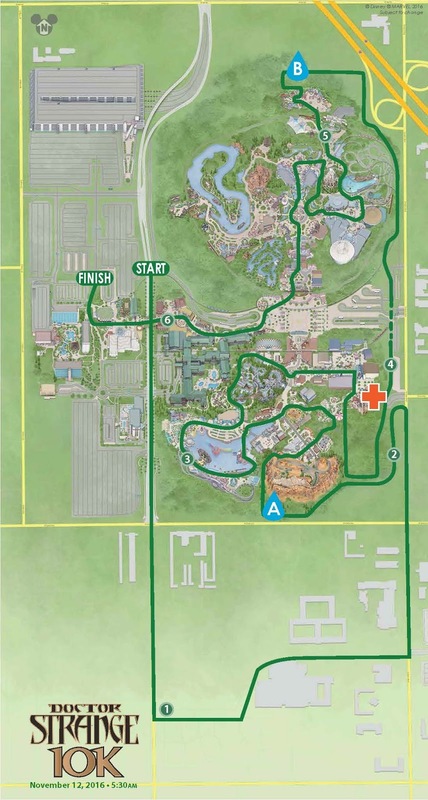 My best friend Keri and I are running the runDisney Wine and Dine Half Marathon this Sunday so it's a little surreal that I'm sitting here sharing race details on another runDisney race weekend, kicking off next Thursday. 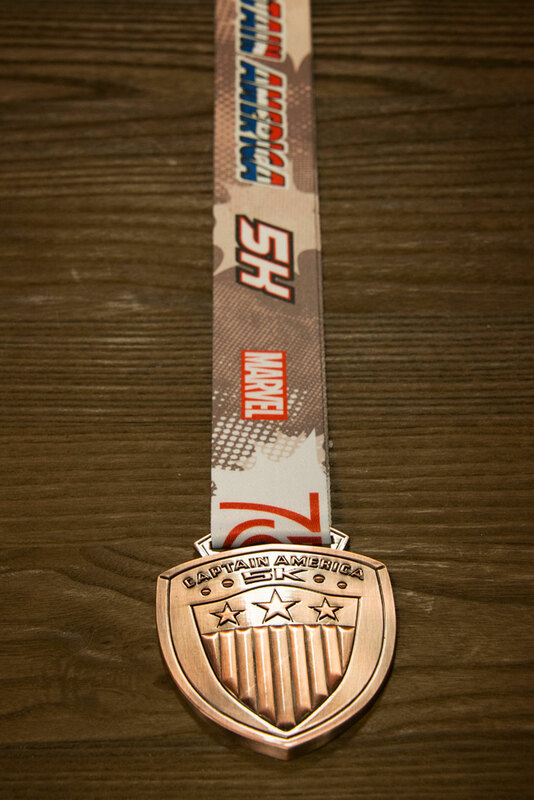 runDisney released the official guide for the Super Heroes Half Marathon Weekend and below are all the important details and race courses. 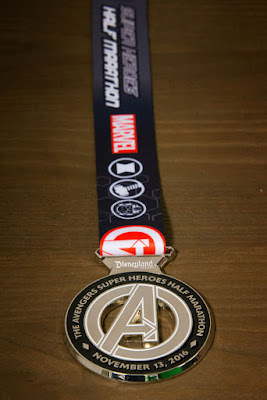 I am looking forward to running my first Disneyland Half Marathon in 11 short days (my legs are going to hate me)! 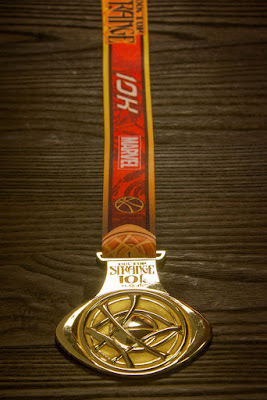 I had to borrow the photo above from runDisney as my friend Richard is in it! 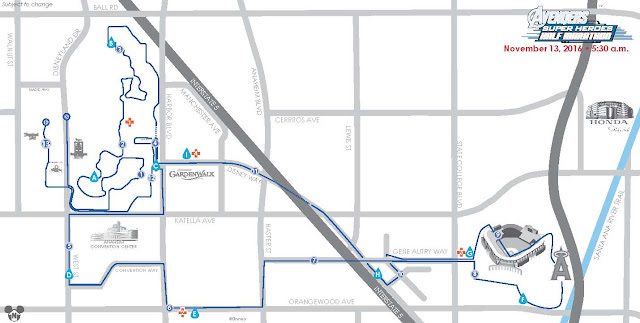 Thursday, November 10: 10:00 a.m. – 8:00 p.m.
Friday, November 11: Noon – 8:00 p.m.
Saturday, November 12: 10:00 a.m. – 4:00 p.m.
Complimentary Anaheim Resort Transportation Network shuttles will depart from select Anaheim area hotels to the Disneyland® Resort Esplanade Shuttle Drop-Off area every 20 minutes continuously through the weekend (11/10-11/13) during scheduled Super Heroes Half Marathon Weekend events. Passes can be picked up at the Transportation Desk at the Expo, located at the Disneyland® Hotel, beginning on Thursday, November 10th at 10:00 a.m. You must print and show your waiver to get to the runDisney Health & Fitness Expo and obtain a transportation pass. Please show your bib at the Transportation Desk when picking up passes. Please save this pass for use over the entire Super Heroes Half Marathon Weekend. Thursday 6:20 a.m. - 12:30 a.m.
Friday 3:30 a.m. - 12:30 a.m.
Saturday 3:30 a.m. - 12:30 a.m.
Sunday 3:30 a.m. - 12:30 a.m.
On race day, please plan for traffic. 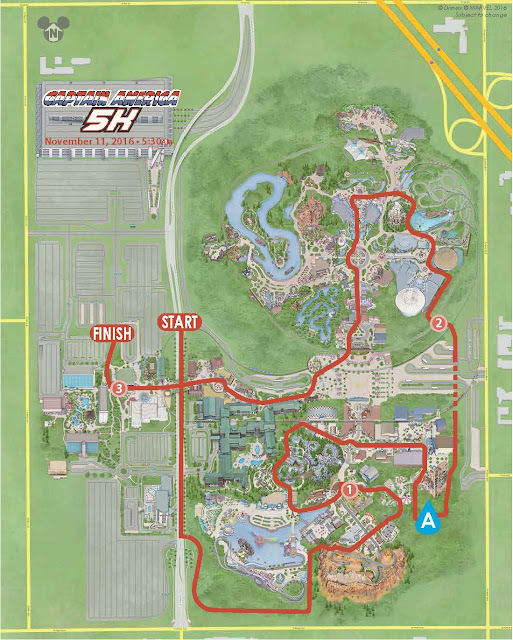 You should assemble at the Family Reunion Area by 4:30 a.m. to allow sufficient time for Guest Screening and entry into your assigned corral.